OSWEGO, NY – George E. Harrington, 86, of Oswego, passed away Monday morning June 24, 2013, at St. Luke Health Services, Inc. He was born in Oswego and was the son of the late Joseph and Margaret Lagoe Harrington. He was the husband of the late Barbara Wright Harrington, who died in 1999. Mr. Harrington had been employed by the US Postal Service as a letter carrier for 31 years. Following his retirement from the Postal Service, he was employed for many years at Cullen’s Liquor Store and enjoyed working with F.E. very much. He was a former communicant of St. Louis Church and an avid New York Yankee fan. George served in the US Army during in World War ll in the Graves Registration Company which undertook its most difficult assignment – retracing the route of the infamous Bataan Death March to recover and identify the remains of Americans who died during that journey. Mr. Harrington is survived by one daughter, Melanie (Barry) Thompson and Edward Harrington of Oswego; his beloved canine companions, Emma Leigh and Bailey; and several nieces and nephews. He was predeceased by three brothers, Joseph Harrington, Jack Harrington and William Harrington. The brothers were veterans of World War II serving in the European and Pacific theaters. 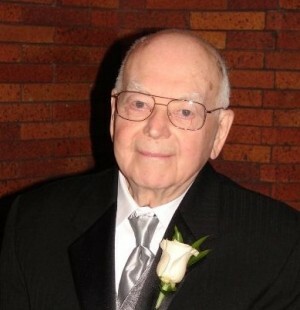 Funeral services will be 8:30 a.m. Friday from the Dain-Cullinan Funeral Home and at 9 a.m. in St. Paul’s Church. Contributions may be made to Paws Across Oswego County 2035 County Route 1 Oswego, NY 13126. We don’t always know what service to our country the people who ‘wait’ on us in different shops have done, because I would have thanked him for his military service if I’d known all the times I bought my wine at Cullen’s!! !